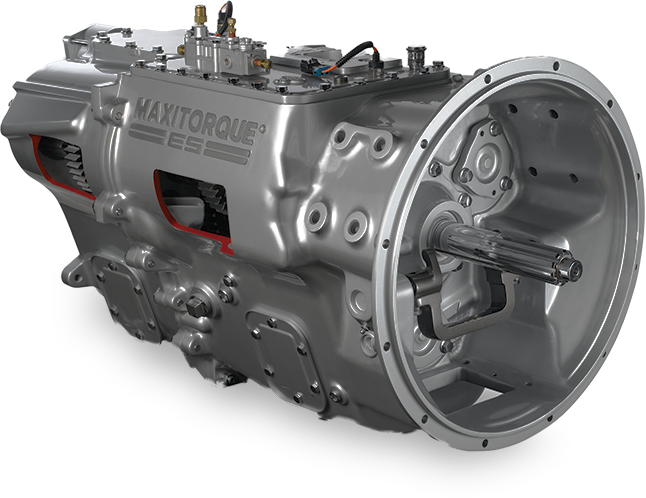 The Mack mDRIVE™ transmission is an automated manual transmission built for Mack Pinnacle™ tractors. This 12-speed, two-pedal transmission not only delivers smooth shifts every time, but also maximizes driver comfort, payload and fuel economy. With the mDRIVE™ automated manual transmission, there’s no clutch pedal, and shifting is operated by intelligent software and engine integration. It continuously monitors changes in grade, vehicle speed, acceleration, torque demand, combined vehicle weight and air resistance to optimize fuel economy on every drive. mDRIVE™ shifts to neutral if the engine is turned off to prevent accidentally starting the truck while in gear. When the parking brake is applied and the transmission is left in gear, it will automatically shift to neutral after four minutes to reduce the load on the drive train. Grade Gripper keeps your position steady on an incline for up to three seconds after the brake pedal is released. So there’s no dangerous or awkward rolling backwards when stopping on a grade. Increase engine RPM while automatically downshifting the transmission and accelerating to enable a safe and quick passing maneuver. This keeps the driver’s hands on the wheel and eyes on the road. The mDRIVE™ transmission makes it simple and comfortable to drive a Pinnacle™ truck, opening up staffing to a larger pool of drivers. mDRIVE™ is automated, and that means less wear and tear on drivers. So they can finish the job strong and stay focused. 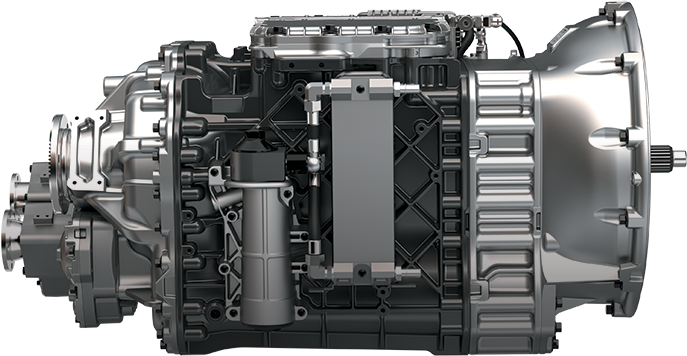 mDRIVE™ automated manual transmission is based on proven technology and superior design that requires minimal service and significantly reduces maintenance costs. mDRIVE™ features constant monitoring and intelligent shift strategies so there’s less stress on the driveline, resulting in a longer life for your transmission and more money toward your bottom line.